Is that the sun smiling down on us? Could be! This still photo from a NASA video shows an apparent smiley face on the sun as seen by the Solar Dynamics Observatory. 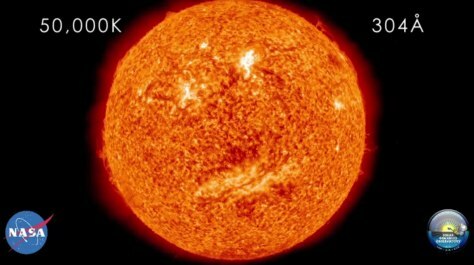 The solar happy face is seen in different wavelengths in a video posted on July 25.